Tokyo is the most expensive city in the world in which to live out of 282 global locations surveyed. While Tokyo is relatively cheap for items such as alcohol & tobacco (ranked 173), it is the most expensive for groceries and healthcare, and second only to Hong Kong for household accommodation costs. Whilst Tokyo has always been relatively expensive, this trend has been strengthened again recently, as a result of the Japanese Yen which has gained in value by about 18% against the United States Dollar in the past two years. Country Full Name: Bolivarian Republic of Venezuela. Country Terrain: Andes Mountains and Maracaibo Lowlands in northwest; central plains (llanos); Guiana Highlands in southeast. Country Population: 28.1 million (2008 est.) 28.6 million (2009 est.). Country Economy: The economy of Venezuela is dominated by the petroleum sector accounting for roughly a third of GDP, around 80% of exports and more than half of government revenues. Gold, diamonds and iron ore are mined as well. Venezuela contains some of the largest oil and natural gas reserves in the world. It consistently ranks among the top ten crude oil producers in the world. Country Inflation: 30.4% (2008 est.) 29.5% (2009 est.). City: Caracas is the capital and largest city of Venezuela. City Economy: Important industries in Caracas include chemicals, textiles, leather, food, iron and wood products. Caracas is a regional center for the distribution of products. Cost of Living: Caracas has an overall cost of living index which equates it with high cost of living locations. The overall cost of living index is comprised of the prices for defined quantities of the same goods and services across all 13 Basket Groups. 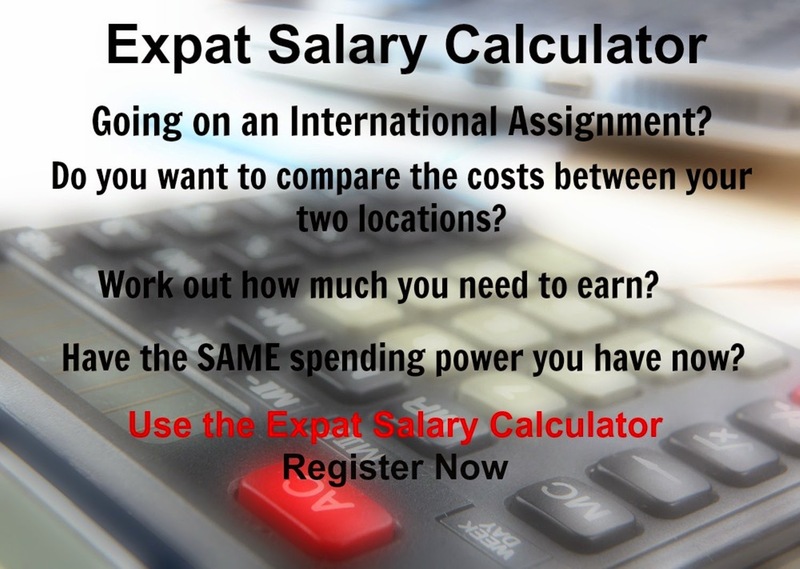 Caracas is currently ranked 7 overall, most expensive place in the world for expatriates to live, out of 282 international locations. Country Economy: The economy of Uzbekistan relies mainly on commodity production, including cotton, gold, uranium, potassium, and natural gas. Despite the declared objective of transition to a market economy, Uzbekistan continues to maintain rigid economic controls, which often repel foreign investors. Agriculture employs 28% of Uzbekistan's labour force and contributes 24% of its GDP. City: Seattle is the Northernmost major city on the West Coast of the United States. City Economy: The major economic, cultural and educational center in the region, Seattle is the center of the Seattle?Tacoma?Bellevue metropolitan area, the 15th largest in the United States, and the largest in the northwestern United States. Cost of Living: Seattle has an overall cost of living index which equates it with middle cost of living locations. The overall cost of living index is comprised of the prices for defined quantities of the same goods and services across all 13 Basket Groups. Seattle is currently ranked 133 overall, most expensive place in the world for expatriates to live, out of 282 international locations. City: San Diego is the ninth largest city in the United States, second-largest city in California and 46th largest city in the Americas. City Economy: San Diego's economy is largely composed of agriculture, biotechnology/biosciences, computer sciences, electronics manufacturing, defense-related manufacturing, financial and business services, ship-repair, ship-construction, software development, telecommunications, wireless research, and tourism. Cost of Living: San Diego has an overall cost of living index which equates it with middle cost of living locations. The overall cost of living index is comprised of the prices for defined quantities of the same goods and services across all 13 Basket Groups. San Diego is currently ranked 123 overall, most expensive place in the world for expatriates to live, out of 282 international locations. City Economy: Phoenix was primarily agricultural, dependent mainly on cotton and citrus farming. In the last two decades, the economy has diversified. Arizona State University has enhanced the area's population through education and its growing research capabilities. Numerous high-tech and telecommunications companies have also recently relocated to the area. City: Philadelphia is the largest city in Pennsylvania and the sixth-most-populous city in the United States. City Economy: Philadelphia's economic sectors include manufacturing, oil refining, food processing, health care and biotechnology, tourism and financial services. Cost of Living: Philadelphia has an overall cost of living index which equates it with middle cost of living locations. The overall cost of living index is comprised of the prices for defined quantities of the same goods and services across all 13 Basket Groups. Philadelphia is currently ranked 101 overall, most expensive place in the world for expatriates to live, out of 282 international locations. City: Memphis is a city in the southwest corner of the U.S. state of Tennessee, and the county seat of Shelby County. It is the largest city in the state of Tennessee, the third largest in the Southeastern United States, and the 19th largest in the United States. City Economy: The city's central location has led to much of its business development. Located on the Mississippi River and intersected by several freight railroads and two Interstate highways, Memphis is ideally located for commerce among the transportation and shipping industry. Cost of Living: Memphis has an overall cost of living index which equates it with low cost of living locations. The overall cost of living index is comprised of the prices for defined quantities of the same goods and services across all 13 Basket Groups. Memphis is currently ranked 232 overall, most expensive place in the world for expatriates to live, out of 282 international locations. City: Las Vegas is the most populous city in Nevada, the seat of Clark County. City Economy: Las Vegas is an internationally renowned major resort city for gambling, shopping and fine dining. Las Vegas, which bills itself as The Entertainment Capital of the World, is famous for the number of casino resorts and associated entertainment. Cost of Living: Las Vegas has an overall cost of living index which equates it with low cost of living locations. The overall cost of living index is comprised of the prices for defined quantities of the same goods and services across all 13 Basket Groups. Las Vegas is currently ranked 206 overall, most expensive place in the world for expatriates to live, out of 282 international locations. City: Indianapolis is the capital of the U.S. state of Indiana, and the county seat of Marion County, Indiana. It is Indiana's largest city and is the 14th largest city in the U.S., the third largest city in the Midwest (behind Chicago and Detroit). City Economy: Indianapolis has a diversified economy including, government, industry, particularly manufacturing, as well as contributing to the fields of education, health care, and finance. Tourism is also a vital part of the economy of Indianapolis, and the city plays host to numerous conventions and sporting events. Cost of Living: Indianapolis has an overall cost of living index which equates it with low cost of living locations. The overall cost of living index is comprised of the prices for defined quantities of the same goods and services across all 13 Basket Groups. Indianapolis is currently ranked 225 overall, most expensive place in the world for expatriates to live, out of 282 international locations.